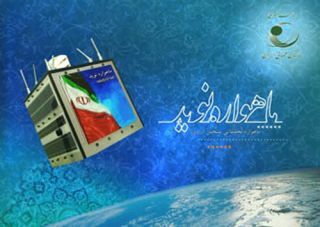 Artist's conception of Iran's small Earth-watching satellite "Promise of Science and Industry," a 50-kilogram satellite, which launched into orbit on Feb. 3, 2012 atop Iran's Safir 1-B rocket. In the early days of spaceflight for the United States and Soviet Union, animals were used to test the safety and feasibility of launching a living being into space and bringing it back unharmed. A rhesus monkey named Albert I was the first ever monkey astronaut. It was launched aboard a U.S. military V-2 rocket from White Sands, New Mexico, in June 1948 but suffocated and died during the flight. A monkey named Yorick was the first monkey to live through a space flight. Yorick and 11 mice were recovered after an Aerobee missile flight of 236,000 feet at Holloman Air Force Base, New Mexico, in September 1951.